The Ghan approaches Alice Springs. For many of us, our personal no-go zones in travel are anything but logical. We will book our tickets to Paris or London – among the most visited cities in the world – but deride river cruising as "too touristy". We will happily spend a week holed up in a luxury resort, never venturing outside its walls, but shudder at the thought of a long-haul train trip, complaining it sounds way too claustrophobic. With river cruises and train travel having changed dramatically in recent times, it is time we all re-examined our often outdated travel prejudices. Travel, after all, is supposed to be about broadening our horizons. To this end, five Traveller writers – myself included – describe what happened when we tackled a form of travel we mightpreviously have avoided. From coach tours to ocean cruises and, yes, river cruising to train travel, we discover that every form of travel has its highlights, with even sceptics capable of becoming converts. Baaaa. People who join escorted tours are sheep. Or have no friends. Or don't have the guts to go it alone. Sometimes, you need at least two to tango. Much as I love going solo – it is my default travel option – some things are no fun by yourself. Hiking the Inca Trail, for instance. Exploring Iran. Dancing the night away in a club in South America. That's where the escorted group tour comes into its own. Hitting a samba club with a gang of new friends is much more entertaining than spending the evening standing awkwardly in the corner. And here's the first surprise about group travel: you will get on with your fellow travellers much better than you expect. On every group tour I have taken, I have been surrounded by interesting, well-travelled people. Getting to know their stories – and, in some cases, forming lasting friendships – has been one of the highlights. Something else that might surprise you: you'll probably see a lot more on a group tour than you would by yourself. As a solo traveller to Jordan, it's easy to tick off attractions such as Petra and Wadi Rum. However, you probably wouldn't know that the best way to finish a dusty day exploring Petra is in the hamam just down the road. Without a companion to challenge you, you mightn't climb that rocky outcrop in Wadi Rum and drink in the panoramic view. 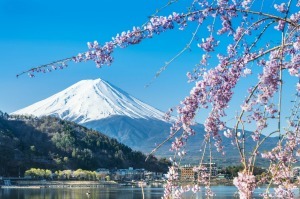 Escorted tours are popular for a reason: they take the hard work out of travel. So, if you are feeling slightly daunted by your dream destination, or you can't find a friend who can travel in your timeframe, explore the group option. It's more fun than you think. GIVE ME ONE GOOD REASON WHY I SHOULD TAKE AN ESCORTED GROUP TOUR? Escorted touring is the most convenient and cost-effective way to see a new destination. With all the logistics taken care of and the majority of your holiday costs prepaid in Australian dollars, you are free to enjoy the destination. WHY DO SOME PEOPLE HAVE THE WRONG IMPRESSION OF ESCORTED GROUP TOURS? Traditionally, the touring customer was the person who would go on one large overseas holiday in their lifetime: hence, the 10 countries in 20 days type tours. The past 10 years have seen new concepts such as tailoring tours specifically for the Australian market, a better balance between organised touring and free time to allow for more independent exploration, more authentic experiences and, of course, smaller group sizes. WHAT IS YOUR ADVICE FOR A FIRST-TIMER? WHERE SHOULD THEY GO? Bunnik Tours attracts a lot of first-time tourers because of our small group sizes and the fact we build free time into each itinerary. As to where to visit, follow your heart – where have you always wanted to go? Go there first. The 17-day Taste of Sri Lanka tour starts from $4557 a person twin share. 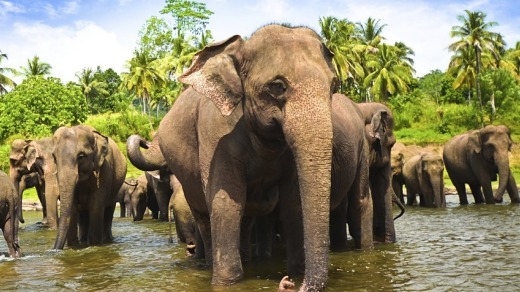 Beautiful scenery, an incredibly rich history with seven major world-heritage-listed sights, abundant wildlife and wonderfully friendly locals, this tour includes a series of unique local experiences that immerse you the real Sri Lanka, both on and off the tourist trail. The fare includes flights from Australia with Singapore Airlines, hotels, all sightseeing and entry fees, and many meals. See bunniktours.com.au. Escorted coach tours are for travel virgins (at least, when they board the bus) – young people who want to see 10 countries in as many days, and imagine as many sexual encounters en route. Or, at the opposite end of the scale, Zimmer-frame travellers whose only hope of seeing a country is from the seat of a coach with an onboard toilet. Sexual encounters? Did we have those in our day? To be honest, my heart sank when – as a cynical travel journalist priding myself on more energetic encounters – I was asked to go on my first escorted coach tour. But then I thought, how bad could it be? A premium Insight Vacations 10-day escorted coach trip from Rome to Venice? Get a grip! Tip one. The wise Australians had arrived a few days earlier and enjoyed Rome in a relaxed mode, recovering from jet lag, before the coach trip started. I, however, checked into my five-star hotel just 30 minutes before we had to assemble for an early-evening coach tour of the Eternal City with our guide, Belinda. (And yes, I had never seen the Roman forum so well illuminated from that vantage point before. Or gone straight from there to a vault-like restaurant with opera singers performing the best of Italian arias.) My advice? Book a couple of days either side of the coach trip you choose, because the pace will be frenetic if you do everything on offer once the Magical Mystery Tour starts. Tip two. If you are told to have your bags fully packed and outside your room by 7am, don't go out (say, completely hypothetically) for a 5am run to the Spanish Steps and the Trevi Fountain – and then get lost. And if you do, please don't appear for breakfast with your new travel acquaintances without a shirt because you'd forgotten you might need one when you left your bags outside the room for collection at 7am. Tip three. Don't presume. Choose wisely. For example, most of the clientele of an operator such as Insight Vacation are affluent, active, over 50, well-educated, extremely well-travelled, and gregarious. They have been independent travellers most of their lives – hired cars, booked hotels, queued up for trains, pored over guide books for museums, galleries, palaces. And, frankly, they're over it and want someone else to do the research and deliver the goods. Have I seen any Zimmer frames on any of the escorted coach trips I have done subsequently? No. Suspected any sexual encounters? Definitely. But what goes on tour, stays on tour (especially when it is between rejuvenated married couples). GIVE ME ONE GOOD REASON WHY I SHOULD TAKE AN ESCORTED COACH TRIP? Terrific value. Our Amazing Spain and Portugal tour spends eight nights in four and five-star hotels, including breakfasts and dinners plus wine, with a hands-on tour director, local guides, and tours to places the ordinary tourist can't access – all for an average of $225 a day. WHY DO SOME PEOPLE HAVE THE WRONG IMPRESSION OF YOUR FORM OF TRAVEL? We have a real mix – including young professionals. Our tours move at a slower pace than people expect, with regular two- or three-night stops so guests can explore at their own pace. Our guests don't just want to see a destination, they want to experience it – whether that's visiting a small family-run olive oil mill in Umbria, meeting the huskies of a champion Scandinavian dog racer, or participating in a Friday Shabbat dinner in Israel. And yes, we have Wi-Fi in our coaches. WHAT'S YOUR ADVICE FOR A FIRST-TIMER? WHERE SHOULD THEY GO? Our Discovery tours, if they haven't spent much time in Europe. 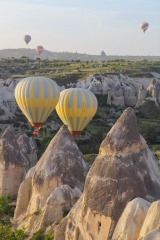 Or our Country Roads tours if they want to revisit countries they explored earlier but want to see off the beaten track. Guests who have travelled with us before often return to travel with us in India, Egypt, Morocco – there are plenty of countries we can introduce you to. The 14-day Country Roads of Croatia itinerary takes guests to the stunning islands and cities of the Dalmatian coast, including Brac and Dubrovnik. 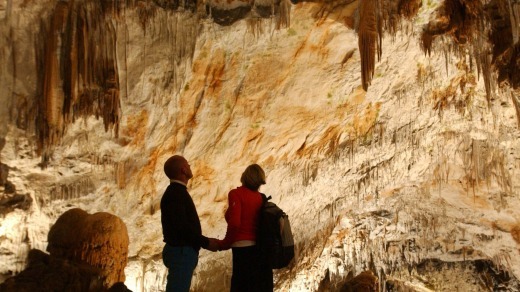 It explores lesser-known gems such as the Postojna caves in Slovenia and the Plitvice lakes. As part of Insight's Signature concept, guests meet a master stonemason and wine expert and stay at the imperial Hotel Bristol in Opatija. From $3785 a person, twin share, with departures from May to October 2015. See insightvacations.com. Sitting on a train for hours sounds boring and uncomfortable – wouldn't it be better to fly and get there quickly? The food would probably be dreadful. And aren't those trains full of old people? For a start, there are many types of long-distance trains, from regularly scheduled services to those that resemble luxury cruise liners. What they have in common is ever-changing scenery. A train is a unique mode of transport, akin to a small town on wheels; always in contact with the world outside, but also slightly separate. It's difficult to get bored as the entire planet passes by your window: people, farms, forests, dramatic landscapes, and the normally hidden backyards of vibrant cities. Another way long-distance rail travel banishes boredom is by providing company. Whether you are chatting with locals in second-class on a long Indian train journey, or swapping travel stories while dressed for dinner at the bar aboard the Orient Express, you're never stuck for conversation. The rhythms of train travel – the gently swaying of the carriages, the cycle from day to night – seem to encourage interaction. There's no need to be stuck in your seat in any case. Long-distance rail trips designed for tourists often include side excursions; from The Ghan, for example, you can go on a cruise through Katherine Gorge. There is always the option of breaking the journey. You could investigate a city in remote Siberia before rejoining the Trans-Siberian Railway; or alight at Glacier National Park from Amtrak's Empire Builder train as it travels between Seattle and Chicago. As for food, this can be a highlight of a long-distance rail trip. In many countries, you can buy snacks from vendors who will crowd the platform at scheduled stops. At the top end of the market, trains such as the Indian Pacific or the Eastern & Oriental Express serve top-notch cuisine in dedicated dining cars. Comfort is not a problem. Long-distance trains usually offer a range of classes for different budgets, from seats to sleeping compartments. Some luxury train operators, such as Canada's Rocky Mountaineer, accommodate passengers off the train in hotels; others surpass traditional berths by supplying onboard rooms with actual beds. And that prejudice about age? While it's true long-distance rail trips are popular with older travellers, you will find passengers of all ages on a train. There is no more pleasant way to travel. A train will take you through the heart of the countryside, over mountains, beside lakes, and involve you in the places you are visiting. It's relaxing, stress-free and enables you to stretch your legs. WHY DO SOME PEOPLE HAVE THE WRONG IMPRESSION OF LONG-DISTANCE TRAIN TRAVEL? Sometimes people think back to their youth, and grotty train trips to boarding school or Grandma's. The modern long-distance train is quite different with spacious, often luxurious seating. WHAT HAS CHANGED IN RECENT YEARS TO IMPROVE THE EXPERIENCE? In many countries, older slower trains wandering through the countryside have been replaced by high-speed rail travelling over 300km/h. Also, luxurious tour trains make visiting challenging destinations easy. I recently travelled on the Golden Eagle Danube Express on its inaugural run from Budapest to Tehran. Amazing. WHAT'S YOUR ADVICE TO A FIRST-TIMER IN RAIL TRAVEL? Go with an open mind. Become absorbed in the scenery outside the window and, sometimes, the activity inside the coach. 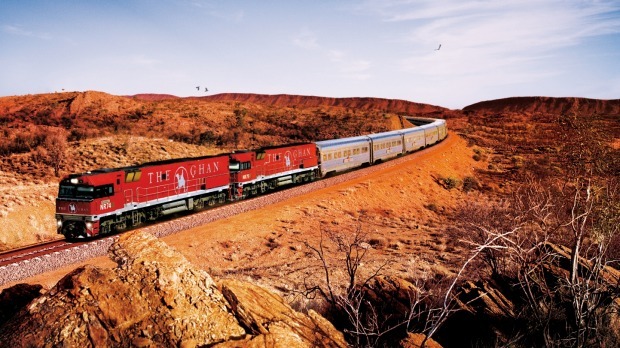 Australia has iconic long-distance trains including The Ghan and the Indian Pacific. To see rail at its best, get a Eurail pass. European stations are surrounded by hotels and the pass allows you to join any train anywhere – a real bargain. Silk Road by Private Train, a nearly 10,000-kilometre journey from Beijing to Moscow. 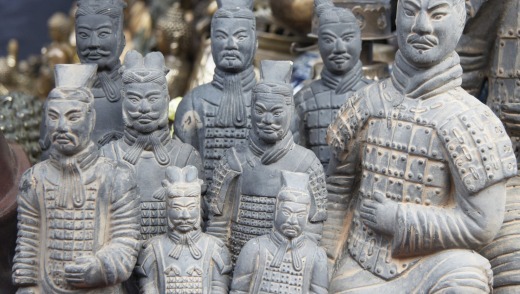 We see the terracotta warriors, then cross the Gobi Desert to Central Asia, visiting Samarkand, Bukhara and Khiva. In Russia, we learn about the Battle of Stalingrad at Volgograd. Fine food is accompanied by wine from all over the world, and there are talks about the regions we visit. It's journey that is difficult to do by any other form of transport. 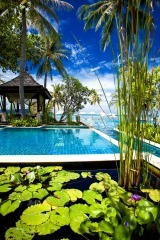 From $28,125 fully inclusive from Australia. See captainschoice.com.au. There are those who would never, ever, contemplate the idea. The refrain goes something like this: "River cruises? Aren't they full of old people waiting to die?" It's God's waiting room, they say, an antechamber to heaven full of boring old farts knee-deep in incontinence pants and warfarin tablets. River cruising is a blast that starts the moment you step on board. There's nothing quite like leaving that first mooring and finding yourself on the top deck with nothing to do except watch the countryside float by with a chewy cab sav to hand. After that, your every whim and desire is pretty much catered for – shore outings are all laid on and food and drinks are pretty much available 24/7 – but with plenty of built-in flexibility. Can't face another day being led around by a tour guide? Then don't go; most decent river boats these days have bicycles – electric or otherwise – that enable you to get around under your own steam. River cruising is also a great reminder of how important waterways were in the founding and formation of the cities, towns, villages and hamlets along the banks. These places, often impossibly picturesque and ancient, are only there because of the historic, liquid threads that bind them together. More often than not, you moor right in the centre of town. At Avignon, in France, for instance, the 14th-century Palace of the Popes is so close you feel as though you could reach out and touch it. And while it is true river cruising is an attractive proposition for older travellers – river cruisers are generally aged 60 and up, although the average age is said to be falling – is that such a bad thing? These are, after all, people who – if you're prepared to listen – have lived rich and fascinating lives for the most part. Here, you will find people in their 80s who are more vital, vibrant and interested than many hoons in their 20s. Oh, and you only need to unpack once – always a plus if your other half packs like mine. 1. You don't have to go on every excursion. Take advantage of the bicycles and go exploring on your own. 2. Plan ahead. Got a hobby, an interest or just an itch that can be scratched in the next port of call? Ask your tour leader for help in making things happen. 3. Take the time to talk to your fellow travellers; they might be old, but they're not stupid. After all, they're interested enough to be out in the world enjoying themselves. River cruising is a very relaxing way to travel and, with a lot of cruising done overnight, you have more time to spend in your destination. It is a fantastic way to really see a country, because you visit different ports every day and have ample time to explore the towns and villages. River cruise ships dock in the heart of the towns they visit, so there is no tendering or transfers off ship to ports. There is an ever-changing landscape every day, so you never get bored, plus a huge bonus for many people is that you only have to unpack once. 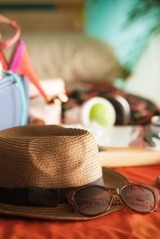 You can really relax without having to worry about packing and boarding a coach every day. Our all-inclusive pricing also means there are no hidden costs. WHY DO SOME PEOPLE HAVE THE WRONG IMPRESSION OF RIVER CRUISING? Many people assume river cruising is just for retirees, but this isn't the case and we are seeing a more varied age group on board. The ease of river cruising definitely appeals to an older age group, but we offer some fantastic itineraries travelling along rivers in many beautiful parts of the world, which more and more people are wanting to experience. And with our Scenic Tailormade tours, offering independent options for walking and cycling, plus our included Scenic FreeChoice program, our guests are able to choose their preferred activities every day, so they can really personalise their cruise and pick the pace that most suits them. Some people may also have tried ocean cruising and not enjoyed the experience, so assume river cruising is the same, but it isn't – you travel with up to only 168 other guests, so it is much more intimate, and each day you get off the ship to enjoy onshore excursions. WHAT HAS CHANGED ABOUT RIVER CRUISING? I think the standard of river cruise ships has played a huge part in changing people's perceptions about river cruising. Our ships really are five-star luxury; it is like a luxury floating hotel. The suites are comfortable with private sun lounges, there are numerous dining options, wellness spa and spacious public areas, and our next generation of river cruisers all have a pool on the sun deck. There are a wealth of river-cruising destinations and no two rivers are alike, so do your research and look at what appeals to you. Are you a history buff or are you a food and wine connoisseur? There will definitely be something out there for you in Europe and France or south-east Asia. One of our most popular cruises is the 15-day Jewels of Europe river cruise, which sails from Budapest to Amsterdam, travelling through Hungary, Austria, Germany and the Netherlands. 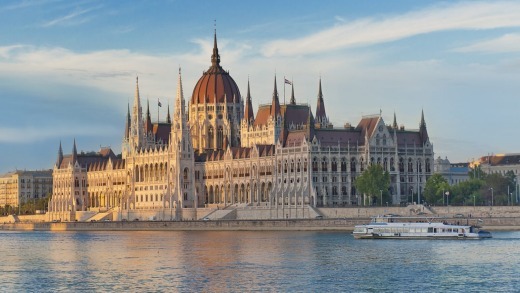 This is particularly popular with first-time river cruisers, because it offers a little bit of everything from history and authentic cultural experiences to the charming riverside villages and towns, and the must-see cities of Vienna and Budapest. Explore Europe's waterways on a 15-day Jewels of Europe river cruise from Amsterdam to Budapest on board a Scenic Space-Ship. Witness the historic castles, lush vineyards and charming towns and villages along the Rhine, Main and Danube rivers. Travel in 2016 at last year's prices – from $7195 a person twin share, including fly free to Europe. Phone 1300 SCENIC (1300 723 642), see visitscenictours.com.au. Cruise ships are too crowded and claustrophobic. I don't want to spend my precious holiday stuck in queues behind bogans/snobs/old people/children. And I couldn't stand being stuck on a ship for days at a time with nothing to do. Today's cruise ships are huge and there are quiet nooks to be found, if you want to some peace. Most ships have adults-only pool areas and excellent child-minding facilities that stretch well into the night. 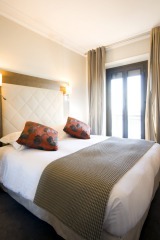 Staterooms might not be cavernous, but neither are hotel rooms. If you are getting the most out of your cruise, you might only be in your stateroom to bathe, dress and sleep. And staring out across an endless blue vista from an outside balcony or deck chair could hardly be called claustrophobic. The world is full of bogans/snobs/old people/children, but at least on cruise ships they are happy and well-fed. There is no such thing as cruise rage. If you can't find at least some people you like among the thousands on board, maybe the problem is you. Of course, there are queues, but these are generally limited to morning coffee and dinner seatings and are handled very well. The cruise lines have had a bit of practice at this and they know what they're doing. In fact, the efficiency is quite impressive. Modern cruise ships have an extraordinary array of things to do. Daily activities include fitness, yoga and dance classes, lectures, card games, arts and crafts, karaoke and trivia, as well as golf, table tennis, blackjack and even bellyflop competitions. And shore excursions every day or two give you the chance to get off the ship and visit bucket-list venues. 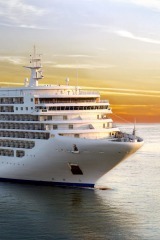 About two-thirds of Australian passengers are repeat cruisers, so the industry must be doing something right. There are plenty of options and it is simply a matter of finding the right match for you. On some cruises, you can party up and twerk to Tina Turner tunes and drink cocktails out of plastic pineapples. On others, your personal butler will deliver French champagne, canapes and fresh fruit along with your dry cleaning. Shop around – the possibilities are as endless as the lazy white wake stretching into the azure distance behind you. But if you don't like fine dining, attentive service, quality entertainment, exotic cocktails, interesting people, room service, luxurious spa treatments, exciting ports of call, fresh sea air, ocean sunsets, romance, laughter, relaxation, sing-alongs and duty-free shopping, all without packing and unpacking and lugging suitcases through airport departure lounges, maybe ocean cruising is not for you. 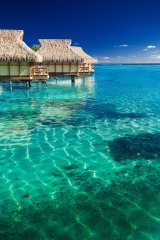 GIVE ME ONE GOOD REASON WHY I SHOULD TAKE AN OCEAN CRUISE? The variety. You can chill out by the pool, see Broadway-style entertainment and, on Royal Caribbean, go rock climbing, ice skating or surf on the FlowRider – all while at sea. You can be as active or relaxed as you want. WHY DO SOME PEOPLE HAVE THE WRONG IMPRESSION OF OCEAN CRUISING? They don't really know about all the things you can do on ships these days. Even though it is growing by leaps and bounds, fewer than 4 per cent of Australians have cruised. Most are repeat passengers: about a third of our passengers are first timers, a third have cruised with us before and a third have cruised with another line. As ships have become larger, it has given the industry scale to add more specialty restaurants and activities. There is a lot more for people to do. Our new Quantum Class ships now offer high-speed Wi-Fi, bumper cars, a sky-diving simulator, wrist bands for on-board purchases and the first fully robotic bar, called "Bionic Bar". We have even incorporated robots into our stage shows. WHAT IS YOUR ADVICE FOR A FIRST-TIME CRUISER? WHERE SHOULD THEY GO? I would recommend a shorter cruise, say four to seven nights, perhaps from Singapore. You get a taste of cruising and visit a few ports without committing all your holiday time. Our experience is that people get a taste for it and graduate to longer cruises of 10 to 14 nights, perhaps around the South Pacific. Sail Thailand, Cambodia and Vietnam for 10 days on board Legend of the Seas, departing Singapore on August 26, 2015, and calling at Ko Samui and Bangkok in Thailand, Sihanoukville in Cambodia and Nha Trang and Ho Chi Minh City in Vietnam. Interior staterooms are priced from $2119 a person, which includes free return flights from Sydney, Melbourne or Perth when booked by March 31, 2015. Phone 1800 754 500, see royalcaribbean.com.au.